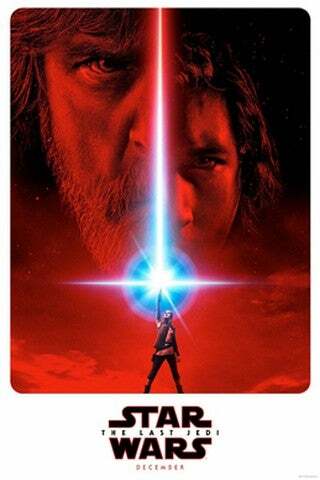 After Star Wars: The Last Jedi opened to disappointing box office returns in China, the movie has been dropped from a huge majority of theaters. In its second weekend, the box office haul in the Middle Kingdom is less than impressive, with the numbers directly correlating to the film's drop in screenings. Last week, it was reported that 92% of screens in China stopped playing Star Wars: The Last Jedi ahead of its second weekend in theaters. Now that the weekend's box office numbers are in, the Hollywood Reporter notes that Lucasfilm's box office haul dropped 92% from its opening weekend as well. Star Wars: The Last Jedi opened to a disappointing $28.7 million in its first weekend in theaters, being overshadowed by rom-com The Ex-Files 3: The Return of the Exes. The movie made $87 million in its second weekend, going head-to-head with The Last Jedi in its debut. This past weekend, The Last Jedi saw a huge drop, taking in just $2.4 million. That 92% decrease continues to spell doom for the People's Republic, where Star Wars has always had trouble. China is the second-largest market in the United States, but The Last Jedi's paltry performance in the Middle Kingdom hasn't put a huge dent in the film's success. This past week saw the latest entry in the Skywalker Saga become the highest grossing film of 2017, just passing Disney's live-action remake of Beauty and the Beast. Star Wars: The Last Jedi only just finished its fifth weekend in theaters, and will continue to add on to that impressive haul after its strong showing in domestic markets and elsewhere around the world. But still, for people who criticize the direction Rian Johnson took the franchise, this is just more momentum to fan the flames of discontent. And yet the fact remains that Star Wars: The Last Jedi is one of the most financially successful films of all time. It's unlikely that Disney or Lucasfilm will backtrack on anything done in the film, despite how vocal some have been about the movie's plot.